Put the howl back in Halloween for your dogs. They will love these BARK Halloween themed dog treats. The dog treats are made in the USA and are wheat FREE, corn FREE and soy FREE. 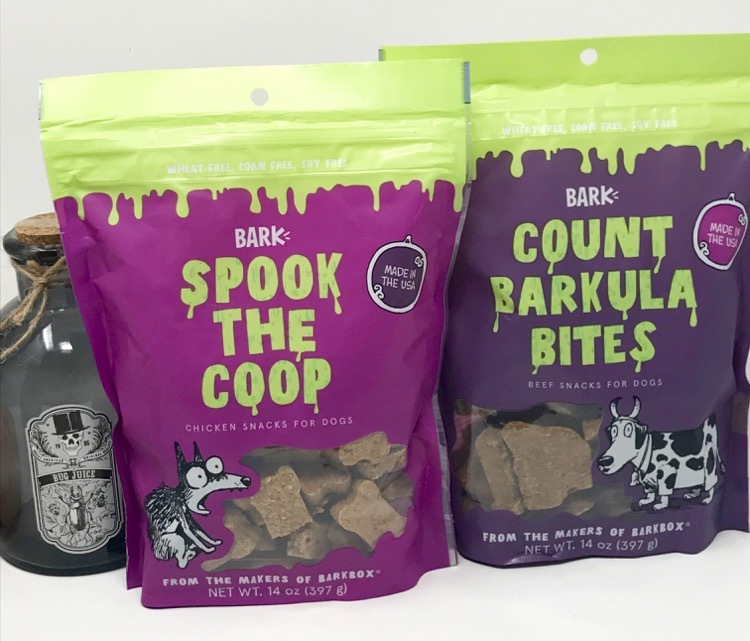 The chicken flavor BARK snacks are called Spook the Coop and the BARK beef flavor snacks are Count BARKula Bites. 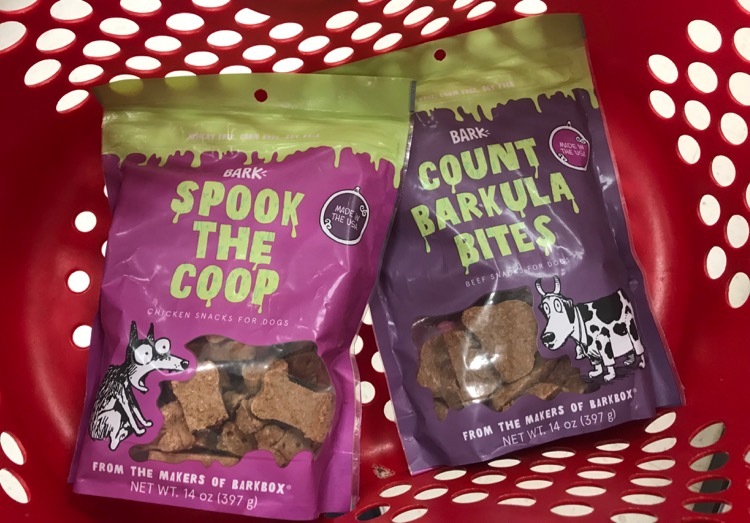 Target has a high value 50% off Cartwheel offer good on these BARK Halloween Dog Treats. This deal gets even better because these treats are also on sale this week for only $7.00. The sale price is valid through 10/28 and the Cartwheel offer is valid through 10/31/17. 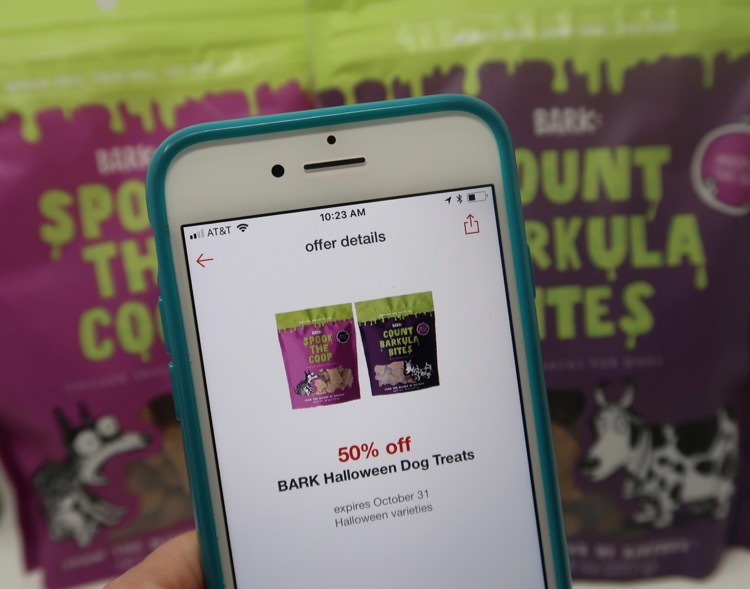 Don’t miss out on the BIG savings on these yummy treats for your dog, make sure you load the 50% off BARK Halloween Dog Treats Cartwheel offer today. 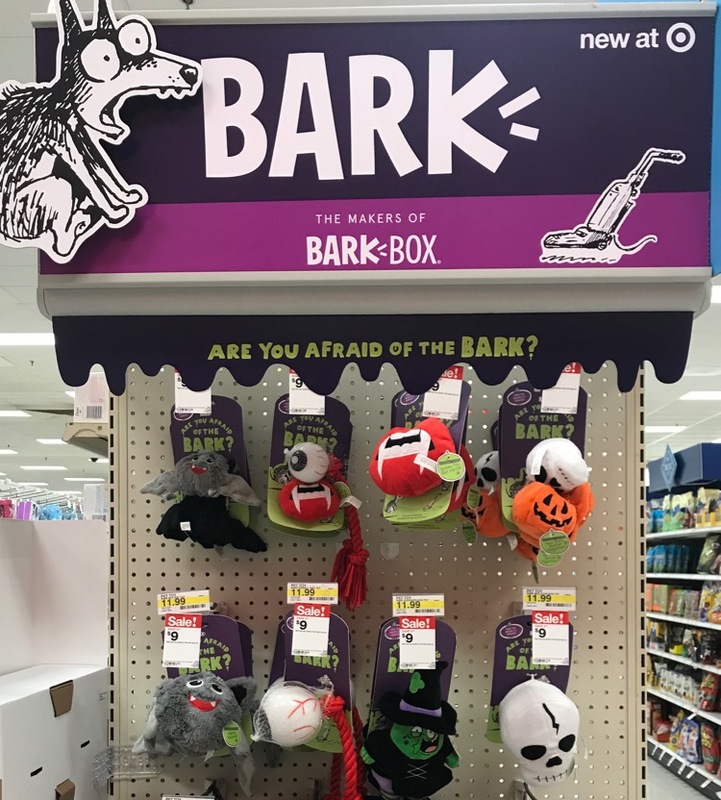 While you are picking up some BARK dog treats at Target, also check out their fun Halloween themed dog toys on sale this week for only $9.00.